The Fast Speed Test Now is a browser hijacker. It affects web browsers and modifies its settings such as newtab page, start page and default search engine. It’s currently very active spreading on the World Wide Web. Many users have problems with cleaning a computer from Fast Speed Test Now and restoring the Edge, Firefox, Google Chrome and Internet Explorer settings. If your PC system is infected by Fast Speed Test Now browser hijacker you will be forced to use its own search provider. It could seem not to be dangerous, but you still should be very careful, since it may show undesired and harmful ads developed to mislead you into buying some questionable software or products, provide search results which may redirect your web-browser to certain deceptive, misleading or malicious websites. We advise that you use only the reliable search provider like Google, Yahoo or Bing. It is probably that you might be bothered with the Fast Speed Test Now hijacker infection and other internet browser’s harmful extensions. You should not disregard this undesired software. 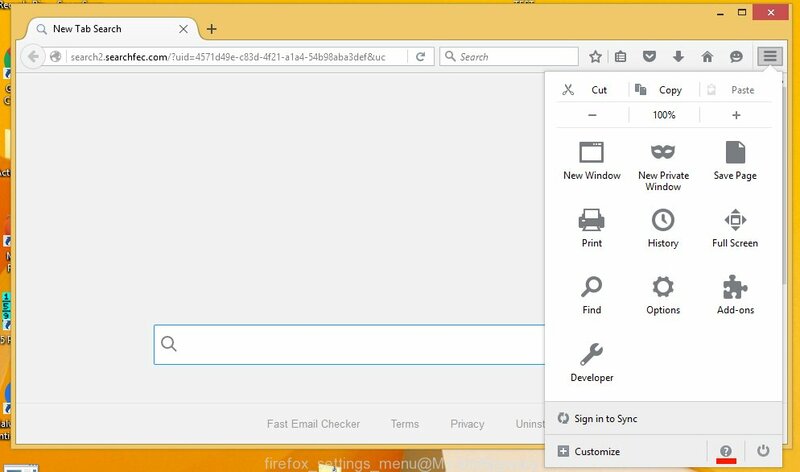 The browser hijacker infection might not only change your startpage or search engine, but redirect your web-browser to shady webpages. What is more, the browser hijacker infection can analyze your surfing, and gain access to your privacy information and, later, can sell it to third party companies. Thus, there are more than enough reasons to remove Fast Speed Test Now from your web browser. So, if you happen to encounter annoying Fast Speed Test Now homepage, then be quick and take effort to get rid of browser hijacker related to Fast Speed Test Now home page as quickly as possible. Follow the steps below to get rid of Fast Speed Test Now . Let us know how you managed by sending us your comments please. When a hijacker like the Fast Speed Test Now gets installed on your machine without your knowledge, it’s not easy to uninstall. In many cases, there is no Uninstall program that simply remove the hijacker responsible for modifying your browser settings to Fast Speed Test Now from your system. So, we advise using several well-proven free specialized tools like Zemana, MalwareBytes or HitmanPro. But the best method to remove Fast Speed Test Now search will be to perform several manual steps, after that additionally run antimalware utilities. 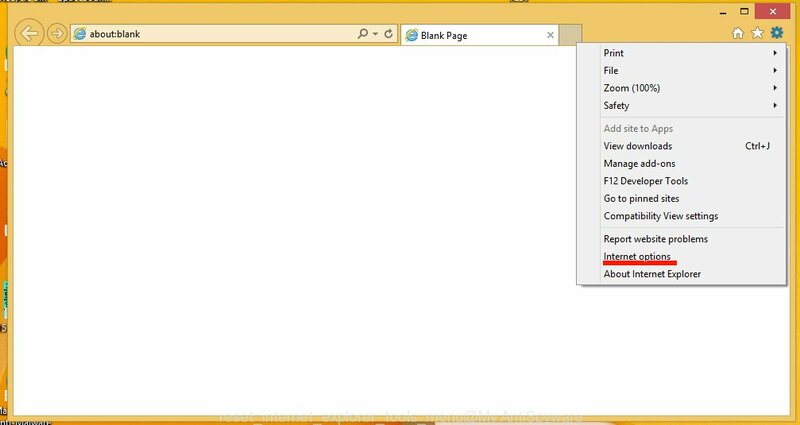 The following instructions is a step-by-step guide, which will help you manually remove Fast Speed Test Now search from the Chrome, Edge, Mozilla Firefox and Internet Explorer. 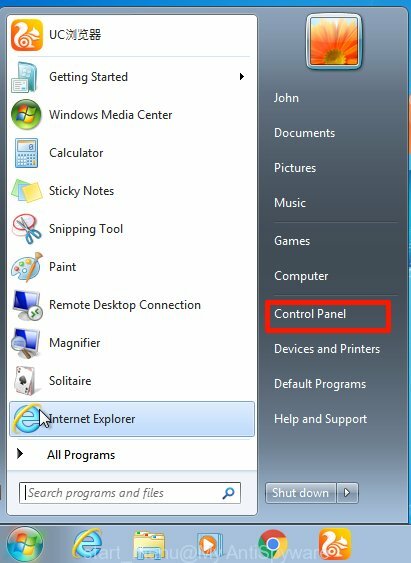 First, you should try to identify and uninstall the program that causes the appearance of intrusive ads or web-browser redirect, using the ‘Uninstall a program’ which is located in the ‘Control panel’. Carefully browse through the list of installed apps and get rid of all dubious and unknown apps. We recommend to click ‘Installed programs’ and even sorts all installed programs by date. After you’ve found anything questionable that may be the hijacker which cause a reroute to Fast Speed Test Now webpage or other PUP (potentially unwanted program), then choose this program and click ‘Uninstall’ in the upper part of the window. If the dubious application blocked from removal, then use Revo Uninstaller Freeware to completely remove it from your PC. Reset Google Chrome settings is a simple way to get rid of the browser hijacker infection, malicious and ‘ad-supported’ extensions, as well as to restore the browser’s search provider, newtab page and homepage that have been changed by Fast Speed Test Now browser hijacker. Once this task is finished, your browser’s startpage, newtab and search provider will be restored to their original defaults. 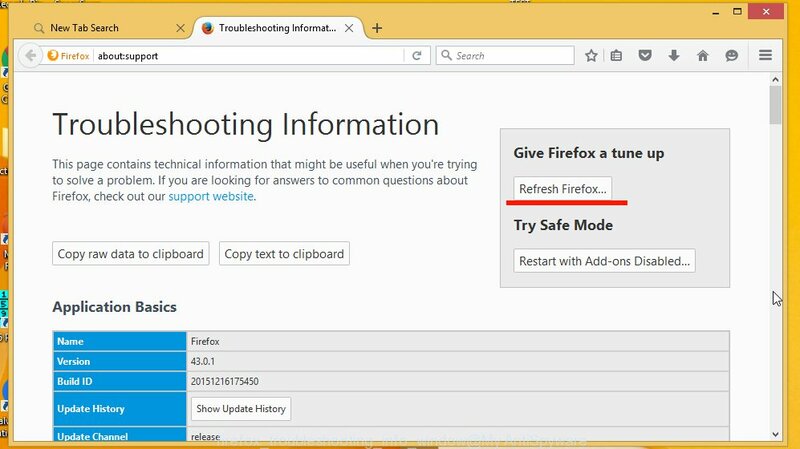 The Mozilla Firefox reset will remove unwanted search engine and start page such as Fast Speed Test Now, modified preferences, extensions and security settings. When using the reset feature, your personal information like passwords, bookmarks, browsing history and web form auto-fill data will be saved. You will now need to restart your machine for the changes to take effect. 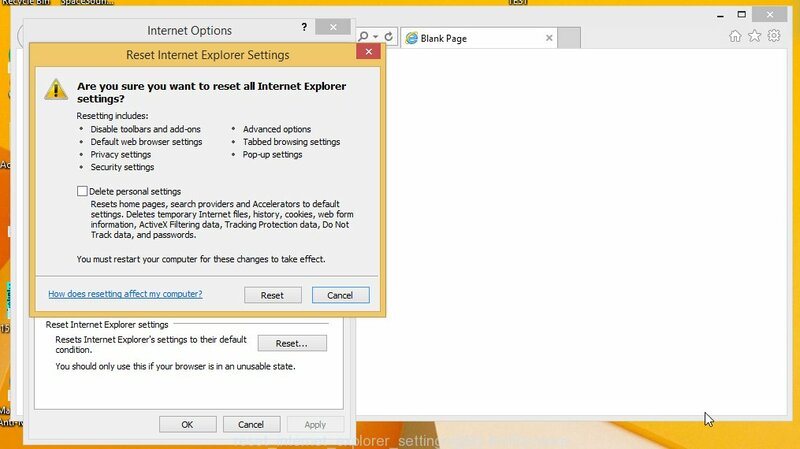 It will remove browser hijacker related to Fast Speed Test Now home page, disable malicious and ad-supported browser’s extensions and restore the IE’s settings such as search engine by default, startpage and new tab to default state. 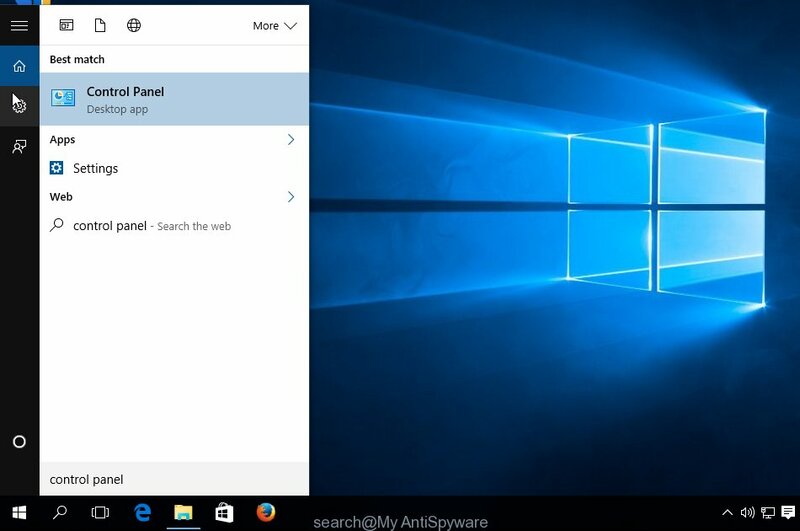 If your system is still infected with the Fast Speed Test Now hijacker, then the best solution of detection and removal is to use an antimalware scan on the system. 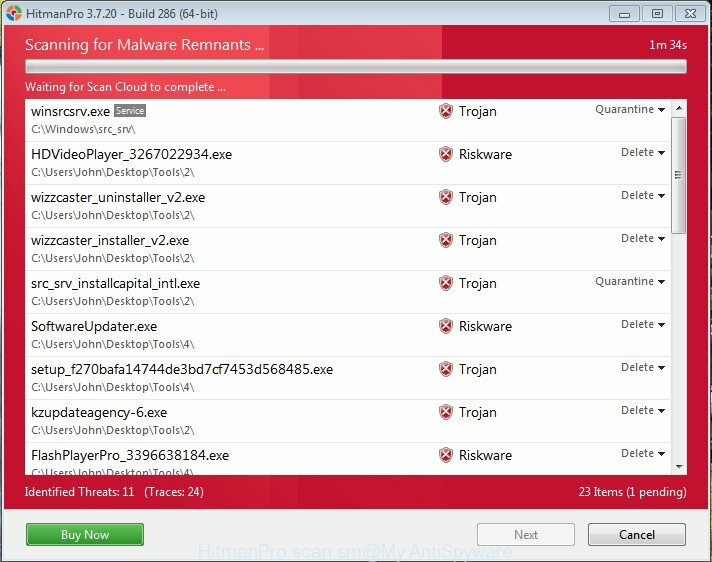 Download free malicious software removal tools below and start a full system scan. It will help you get rid of all components of the hijacker from hardisk and Windows registry. 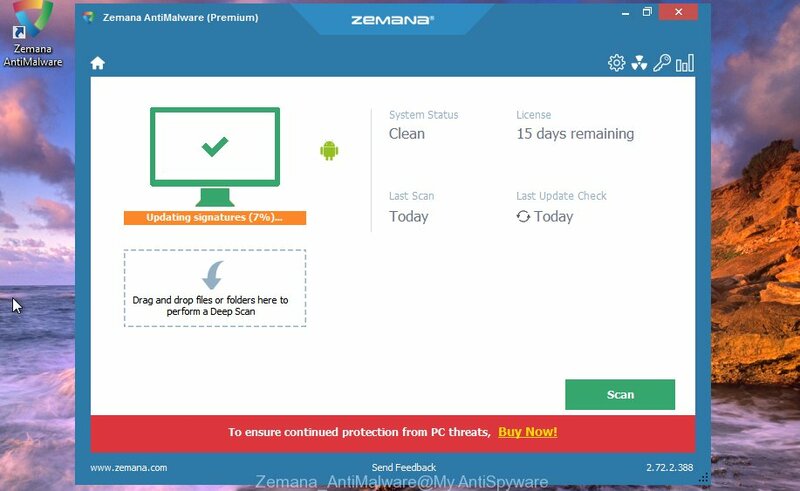 Zemana Anti Malware (ZAM) highly recommended, because it can find out security threats such adware and hijackers which most ‘classic’ antivirus apps fail to pick up on. Moreover, if you have any Fast Speed Test Now browser hijacker removal problems which cannot be fixed by this utility automatically, then Zemana AntiMalware provides 24X7 online assistance from the highly experienced support staff. 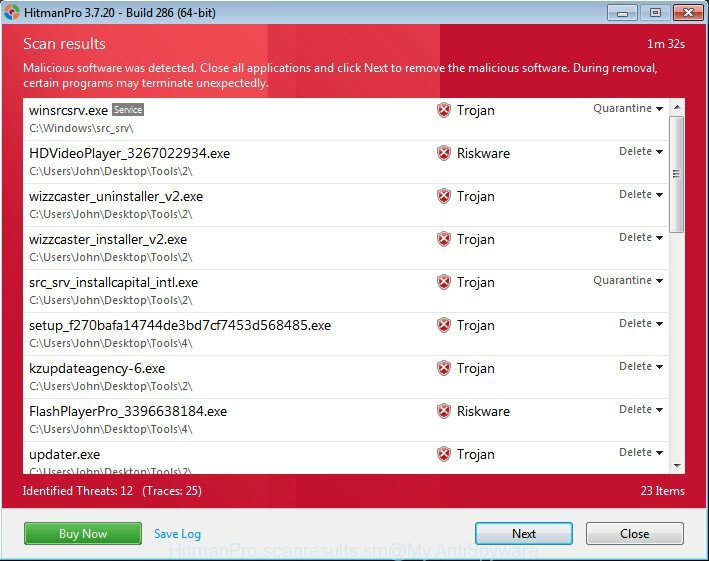 Installing the Zemana AntiMalware is simple. First you’ll need to download Zemana AntiMalware by clicking on the link below. Once the download is done, please close all applications and open windows on your computer. Next, run a file named Zemana.AntiMalware.Setup. This will open the “Setup wizard” of Zemana Anti Malware onto your computer. Follow the prompts and do not make any changes to default settings. Further, press the “Scan” button for scanning your personal computer for the hijacker responsible for redirecting user searches to Fast Speed Test Now. A system scan may take anywhere from 5 to 30 minutes, depending on your computer. When a malicious software, adware or potentially unwanted programs are found, the number of the security threats will change accordingly. Wait until the the scanning is finished. After the scan get completed, Zemana Anti-Malware will display you the results. Review the results once the utility has complete the system scan. If you think an entry should not be quarantined, then uncheck it. Otherwise, simply click the “Next” button. The tool will get rid of hijacker that responsible for browser redirect to the unwanted Fast Speed Test Now web site and add items to the Quarantine. When disinfection is done, you may be prompted to reboot the PC. HitmanPro is a free removal tool that may be downloaded and use to remove hijackers, ad-supported software, malicious software, PUPs, toolbars and other threats from your personal computer. You may run this tool to detect threats even if you have an antivirus or any other security program. Installing the HitmanPro is simple. First you will need to download Hitman Pro on your PC system by clicking on the link below. Download and use HitmanPro on your machine. Once started, click “Next” button to perform a system scan with this utility for the hijacker responsible for modifying your web browser settings to Fast Speed Test Now. This task may take some time, so please be patient. During the scan Hitman Pro will find threats exist on your machine.. When the scan is finished, HitmanPro will show a screen which contains a list of malicious software that has been found. It will display a prompt, press the “Activate free license” button to start the free 30 days trial to delete all malicious software found. 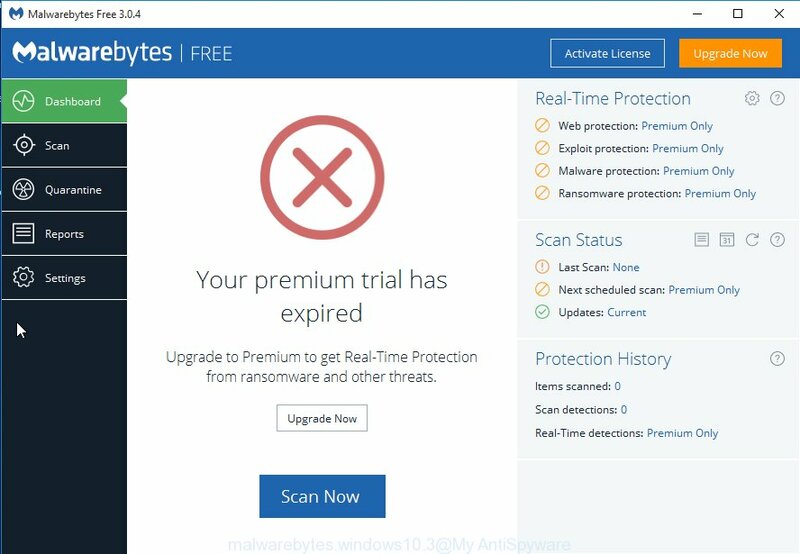 We suggest using the Malwarebytes Free that are completely clean your machine of the hijacker. The free utility is an advanced malicious software removal application created by (c) Malwarebytes lab. This application uses the world’s most popular anti malware technology. It’s able to help you remove browser hijackers, potentially unwanted programs, malware, adware, toolbars, ransomware and other security threats from your machine for free. After the downloading process is complete, close all software and windows on your PC system. Double-click the install file called mb3-setup. If the “User Account Control” prompt pops up as shown below, click the “Yes” button. 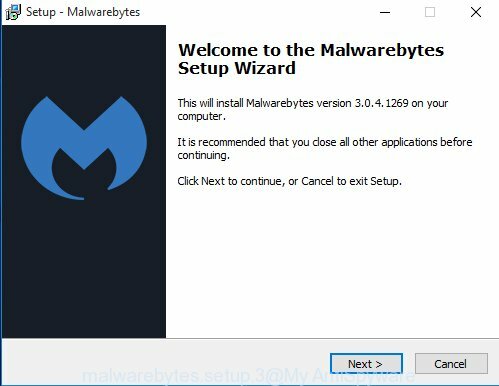 It will open the “Setup wizard” that will help you install MalwareBytes AntiMalware on your PC. Follow the prompts and don’t make any changes to default settings. Now click the “Scan Now” button . 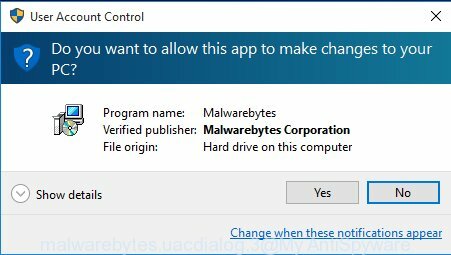 MalwareBytes AntiMalware program will scan through the whole computer for the Fast Speed Test Now browser hijacker and other web browser’s harmful extensions. This task may take some time, so please be patient. While the MalwareBytes Anti Malware is checking, you may see number of objects it has identified either as being malicious software. 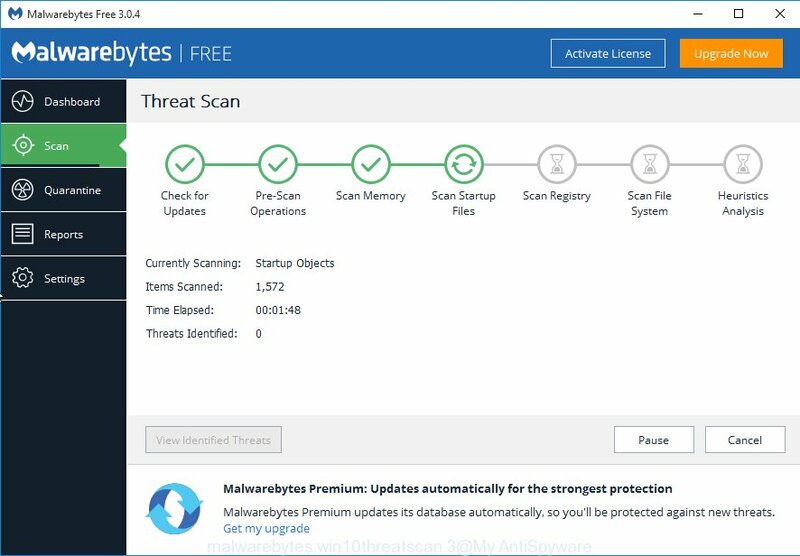 After the system scan is complete, MalwareBytes Anti-Malware (MBAM) will display you the results. Once you have selected what you want to remove from your system click “Quarantine Selected” button. The MalwareBytes Anti Malware will begin to remove hijacker responsible for modifying your web-browser settings to Fast Speed Test Now. After finished, you may be prompted to reboot the PC system. We recommend you look at the following video, which completely explains the process of using the MalwareBytes Anti-Malware to delete adware, hijacker and other malicious software. The AdGuard is a very good ad blocking program for the Google Chrome, Firefox, Microsoft Internet Explorer and MS Edge, with active user support. It does a great job by removing certain types of annoying advertisements, popunders, pop ups, unwanted newtabs, and even full page advertisements and webpage overlay layers. Of course, the AdGuard can stop the Fast Speed Test Now automatically or by using a custom filter rule. Visit the page linked below to download the latest version of AdGuard for Windows. Save it directly to your Microsoft Windows Desktop. Once the installation is finished, click “Skip” to close the installation program and use the default settings, or click “Get Started” to see an quick tutorial which will help you get to know AdGuard better. In most cases, the default settings are enough and you don’t need to change anything. 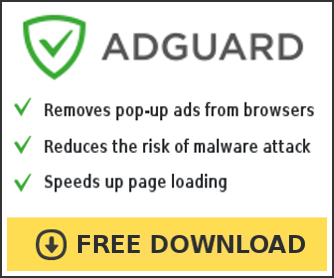 Each time, when you run your computer, AdGuard will run automatically and stop pop-ups, Fast Speed Test Now redirect, as well as other harmful or misleading sites. 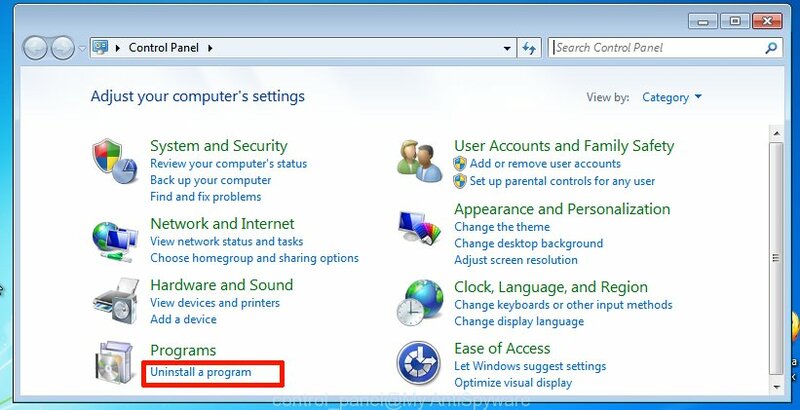 For an overview of all the features of the program, or to change its settings you can simply double-click on the icon called AdGuard, that is located on your desktop. Now your computer should be free of the hijacker infection that changes web browser settings to replace your newtab, startpage and search provider by default with Fast Speed Test Now site. We suggest that you keep AdGuard (to help you stop unwanted ads and unwanted malicious sites) and Zemana AntiMalware (to periodically scan your machine for new browser hijackers and other malware). Probably you are running an older version of Java or Adobe Flash Player. This can be a security risk, so download and install the latest version right now. If you are still having problems while trying to remove Fast Speed Test Now redirect from the MS Edge, Firefox, Chrome and Internet Explorer, then ask for help in our Spyware/Malware removal forum.